We've been hearing for months about the outdated and racist cabaret laws still on the books in New York City and the recent push to finally decriminalize dancing in bars and restaurants without a cabaret license. It looks as though the mayor's office, along with city councilmembers, have finally come through to take real steps to address the problems facing nightlife venues across the five boroughs. And they marked the historic occasion at Bushwick's very own House of Yes. 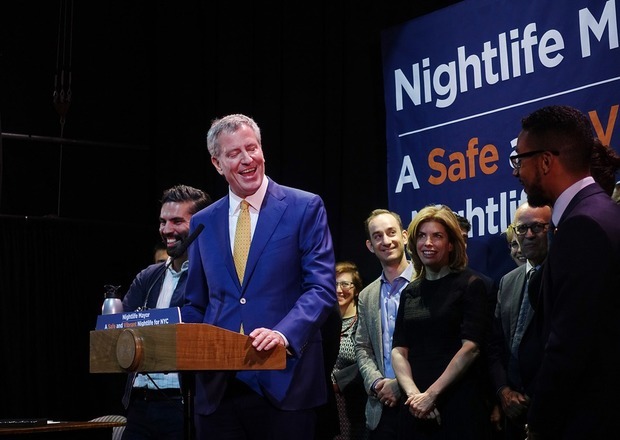 Mayor Bill de Blasio, Rafael Espinal, and nightlife industry professionals appeared on stage last night at 8:30 p.m. to sign Espinal's bill into law to create an Office of Nightlife headed by a Director of Nightlife and a Nightlife Advisory Board. 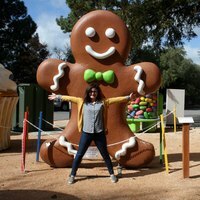 The mayor's office says, "The first-of-its-kind Office of Nightlife will give a voice to the nightlife industry, which has been historically underrepresented in city government. Its primary focus will be to provide a space for venues, community members and city agencies to communicate and plan so to ensure the growth of this industry and address quality of life concerns." In his remarks (which you can view in full below), de Blasio said, "without the venues, the culture simply cannot exist." We couldn't agree more! Featured image courtesy of Phil Buehler.